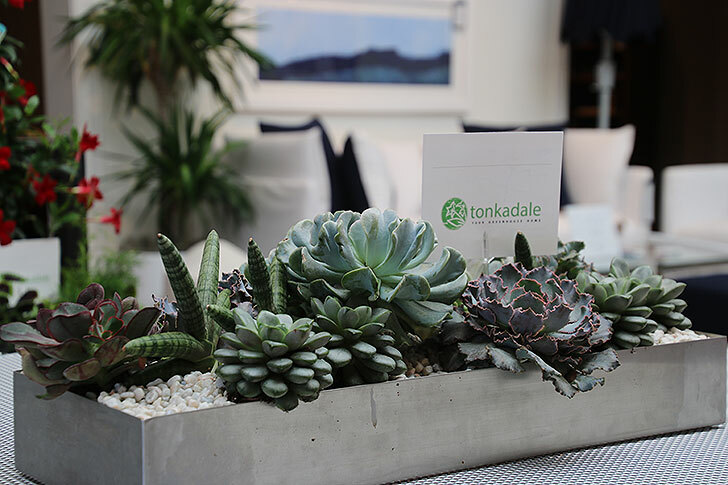 Recently our Edina store hosted an event with our local friends at Tonkadale Greenhouse. I talked with the owner, Jessie Jacobson, about container gardening. “Container gardening is color. It’s lifestyle. It’s gatherings and community. And guess what? When you plant a container, you get a fresh start each and every time.” I asked Jessie to share some tips about getting started. What do these materials look like? Glazed containers are the standard, but what about handsome lightweight containers – fiber-stone, cement, mixed metals, turns with various silhouettes, baskets? Go big or go home! 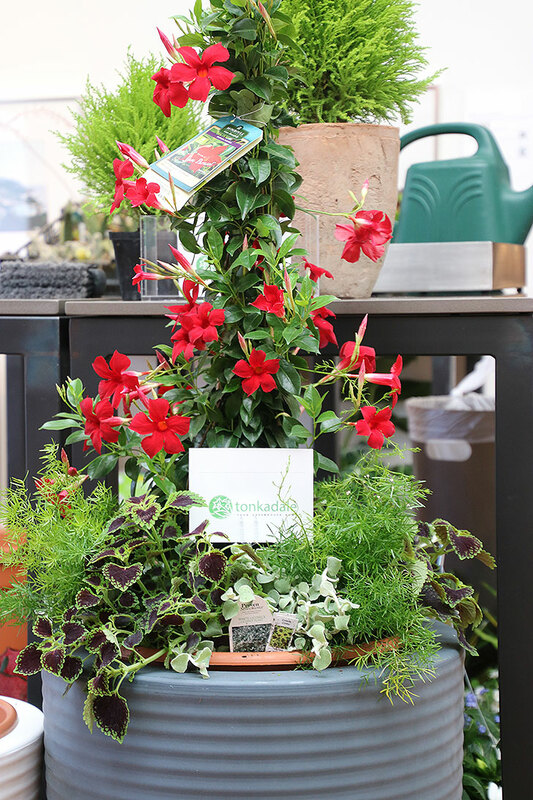 Tonkadale recommends using drop-in containers instead of planting directly in your pots. 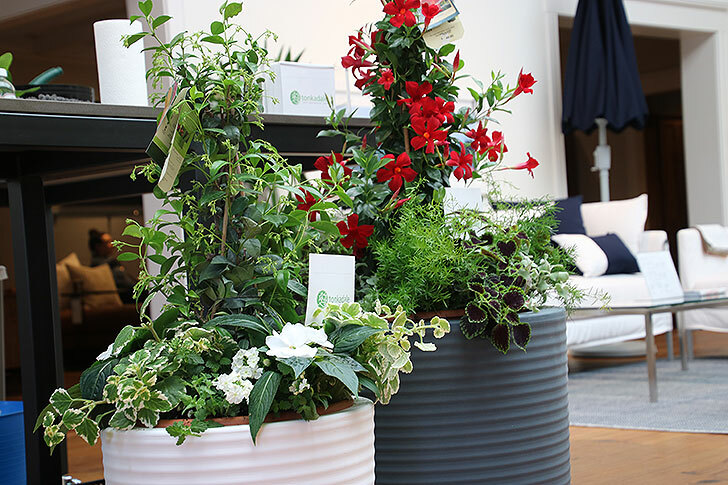 Drop-in containers slip into your standard-sized pots and make seasonal change-outs easy. Then add fresh potting soil. We recommend Tonka Terra, a nutrient rich potting soil that will provide ample water retention and nutrition to your plants for the season. Annual plants and foliage are hungry for rich soils and adequate nutrients as their job is to grow quickly and bloom heavily throughout the season. And then there is fertilizer in which there are many choices. Choose what you like, slow release, liquid or organic. Just do it. Foliage is the architecture of all containers. In case you haven’t noticed, houseplants, especially succulents and cacti, are trending. Sorry folks, it’s not just coleus and potato vine anymore. Foliage adds stability, structure, physical weight and visual depth, among other things like texture and various leaf coloration to your containers. Blooms come and go, but foliage never fades. Always remember, gardening is a verb. It is something you do over time. Learn as you go. Start small, revel in success and take on more as your confidence grows and grows and grows. Be sure to sign up for our emails so you don’t miss our store events!